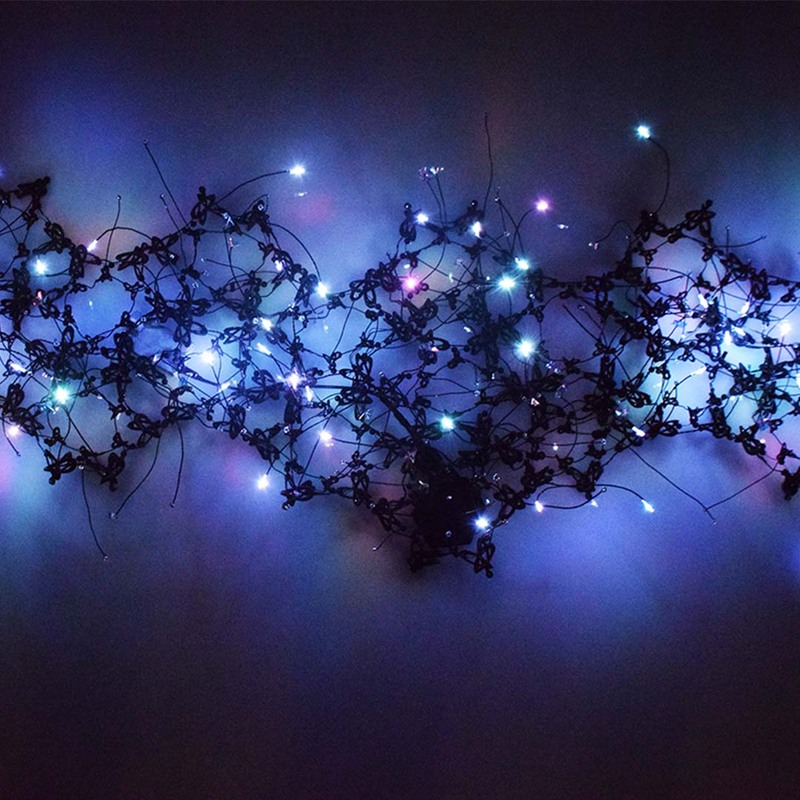 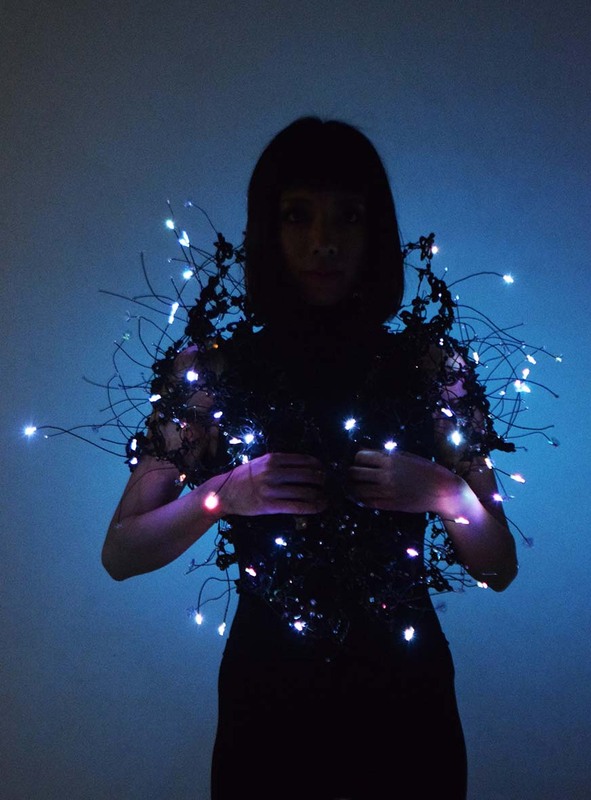 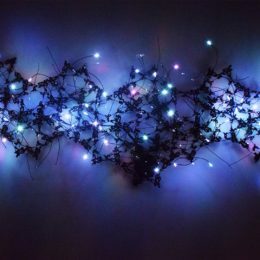 Japanese artist Erina Kashihara will discuss her contemporary wearable light art practice alongside digitally fabricated art and design within Japan. 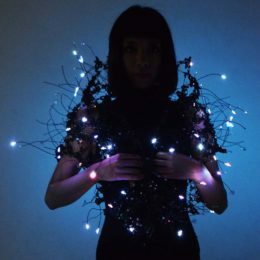 This talk event is part of the event program for FEMUFACTURE, a free exhibition on display at The Japan Foundation Gallery from February 6 – March 30, 2019. 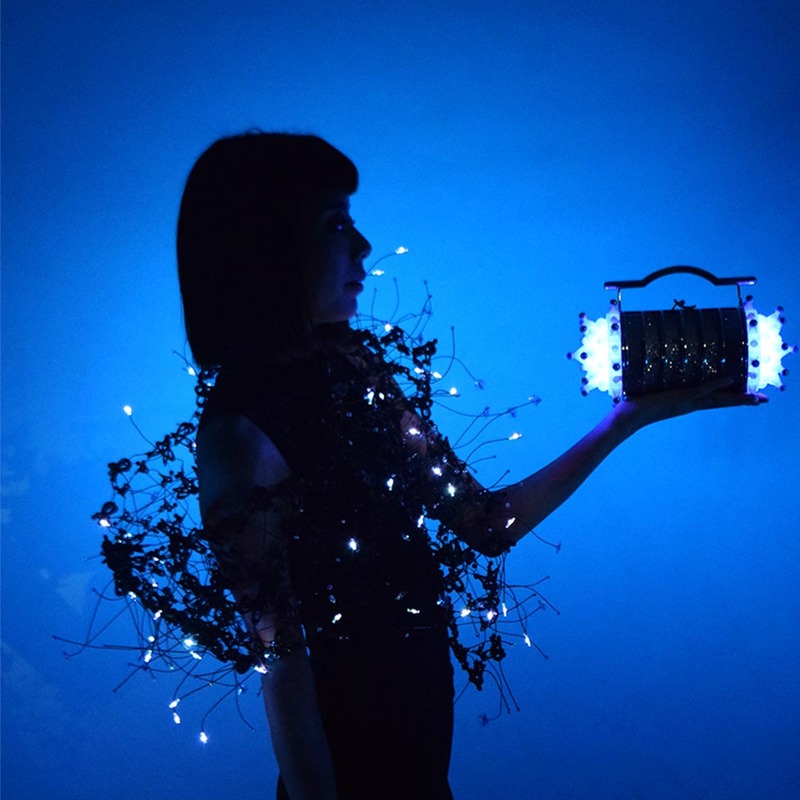 Top images: Erina Kashihara, left to right: Party Bag “Popcorn – Blue “; Light Shawl “Geometric Nerve”.